With Fast Track Duo, you have everything you need to showcase your talent in the highest quality. 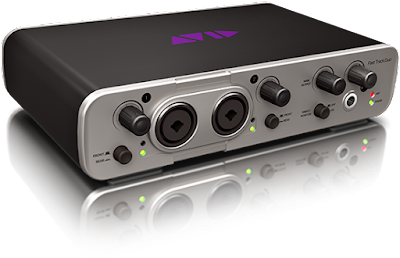 Capture great-sounding performances through studio-grade electronics and inputs using Pro Tools Express. Compose tracks with hundreds of amazing virtual instrument sounds. And polish and perfect your mixes with professional effects. 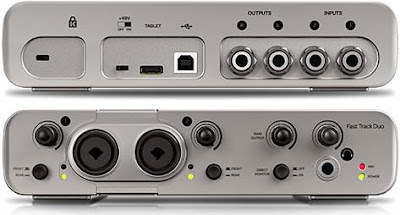 Whether you want to capture ideas quickly, create professional-sounding recordings, or compose music electronically, Fast Track Duo offers an easy and affordable way to make music. Record and compose with Pro Tools Express using many of the same industry-leading recording, MIDI, and notation tools used to create your favorite albums and soundtracks. 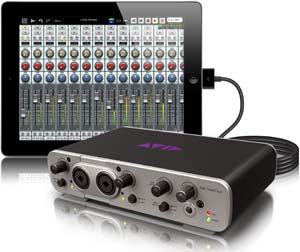 Or connect Duo to your iPad and use your favorite iOS audio apps to capture your creativity. * iPad (4th generation) and iPad mini require a Lightning to 30-pin Adapter (sold separately).